MainAll NewsRadioHow to deal with the misguided Jews who discourage Aliyah? Those self hating, misguided Jews who discourage Aliyah and speak out against Israel fact warp the basic precepts of Torah. 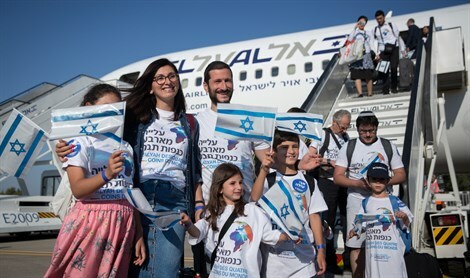 Dr. Sam Minskoff, a member of the Aliyah Team at Arutz Sheva, talks about those unfortunate 70 to 80 percent of Jews who disappear, as a severe symptom of the diseases of the Diaspora and the extreme frustration of not being able to get through to them as Jews whose survival and destiny is dependent making Aliyah. Furthermore, those self hating Jews exemplify the most tragic phenomenon ever to happen to the Jews.